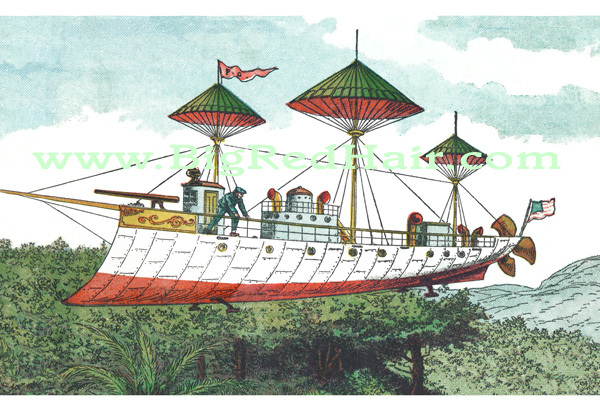 FRANK READE - Adventures on land, sea, and in the air, circa 1900.
can be had with these stunning, full color, 12" x 16" prints, suitable for framing. The helicopter airship White Cruiser glides over a tropical forest in search of the Dog-Faced Men. The Thunderer, flying the Stars and Stripes, sends Tartars fleeing with its destructive volleys. A frozen grotto is the rendezvous point for Frank Reade's team of explorers and their submarine. 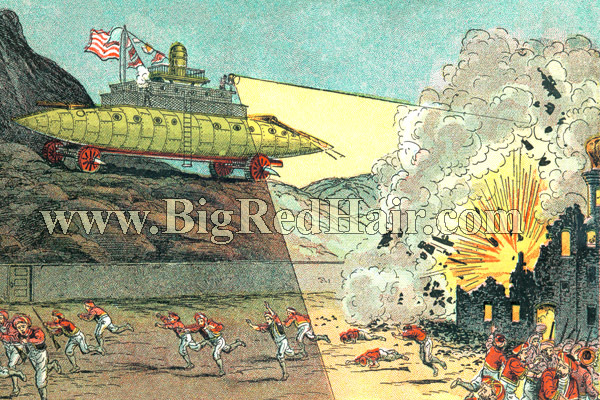 The BigRedHair.com text will not be on the actual prints. 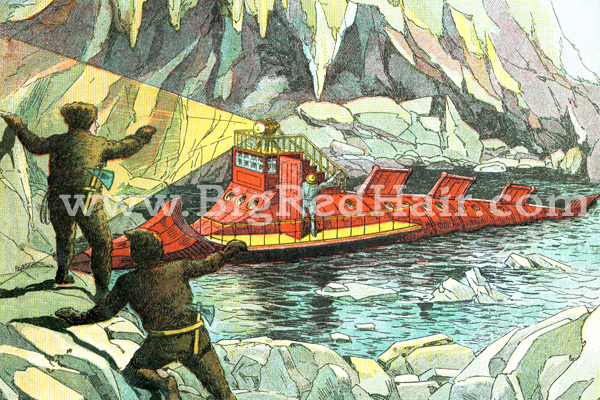 Each image has been adapted from the engravings used to illustrate Frank Reade Weekly color issues published at the turn of the century. The images have been restored and retouched to an extent that surpasses the quality of the original editions. Shipping is $2 for U.S. orders, or $5 for foreign orders. Also use the above address for any questions you may have. All text and images copyright 2000, 2011 Paul Guinan.